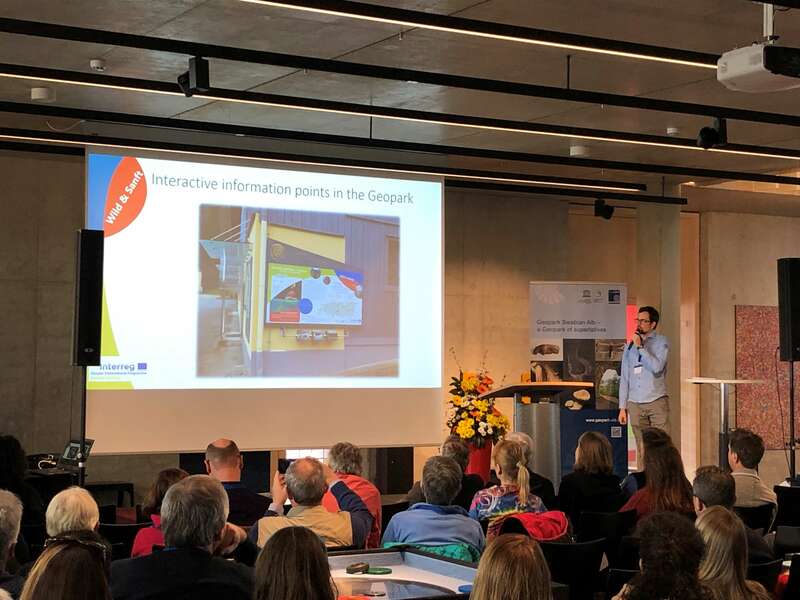 Between 25th and 30th March 2019 the Interreg Danube Geotour was present at the 43rd European Geoparks Meeting in the UNESCO Global Geopark Swabian Albs in Germany. The project and its partners had the possibility to show our activities and outputs during the Geoparks fair in the city hall. 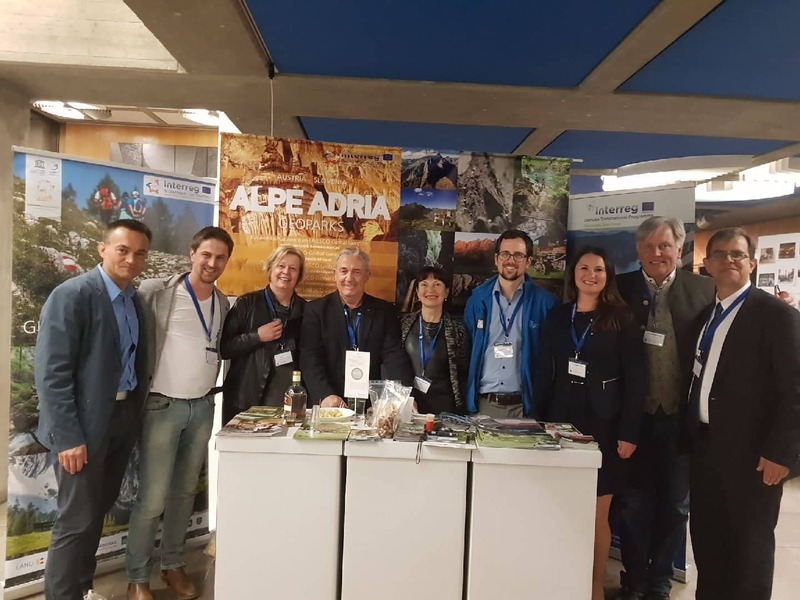 The Interreg Danube GeoTour was part of the Alpe Adria booth including the project partners Idrija UNESCO Global Geopark from Slowenia, Karawanken-Karavanke UGGp from Austria/Slowenia and Styrian Eisenwurzen also from Austria. The first pictures shows the mentioned project partners including the CEO of the Geopark Swabian Albs Siegfried Roth (on the left side), Nicholas Zouros (Coordinator of the Global Geoparks Network and Associated Strategic partner of the project - on the ride sight) and Kristin Ranges (European Geoparks Coordinator - third person from the left). Furthermore, the Communication manager Oliver Gulas presented during the open session of this meeting outpus of the Interreg Danube GeoTour and of the UNESCO Global Geopark Styrian Eisenwurzen. He talked mainly about GeoInterpretation and GeoProducts (see picture below). Also the partners from Bakony-Balaton (HU), Papuk (HR) and Hateg (RO) were present. Finally, our new image video was shown during the open session as well. In conclusion, it was a very well organized event to dissaminate our project and outputs.